Not sure why I was at F2.8 when I can’t focus correctly or quickly on the street. Ugh. Not the best picture, but I like his bow tie (and the bike). 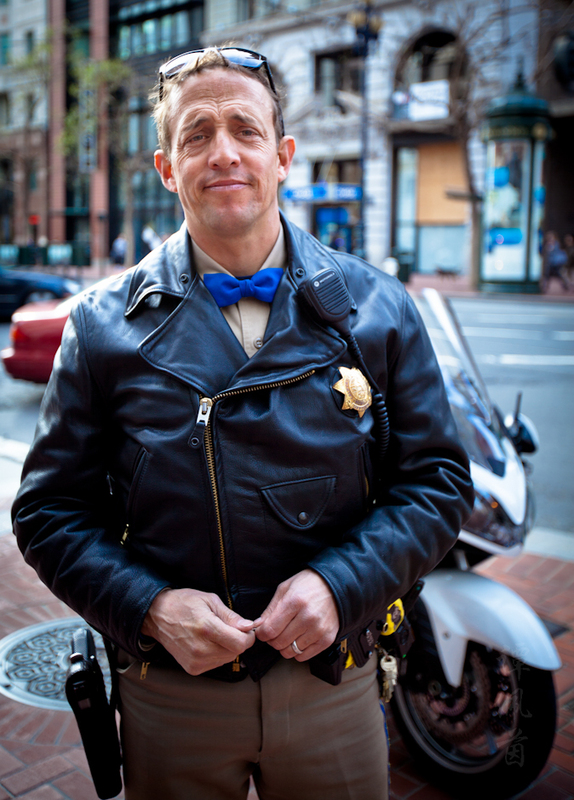 Officer Mark Pineda, California Highway Patrol on Market. Can I have a life size one so I can post it at the office? OMG Mark Pineda from SFJA……look some folks up on Facebook they’re looking for ya.